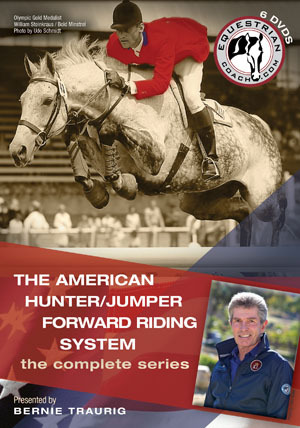 DVD series explaining the building blocks of the American Hunter/Jumper Forward Riding System, a system endorsed and taught by George Morris and advocated by the USHJA Trainer Certification Program. In Developing Perfect Position; Fundamentals of Flatwork; and The Controls of the Horse, Bernie shares step-by-step exercises, on the flat and over fences, that are proven to bring success. Includes a special introductory DVD on the history of the sport.